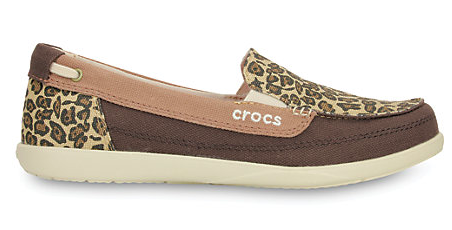 How cute are these Crocs Women’s Walu Wild Graphic Loafer for running errands or hanging around the house? You know they are comfy since they are Crocs! Right now Crocs has a great promotion going on for all of Black Friday week – 30% off your entire purchase with coupon code FAVE30 at checkout. These Crocs Women’s Walu Wild Graphic Loafer are on sale for $54.99 and then you get the additional 30% off! « Ski PA: My Skiing Kids & How 4th & 5th Graders Ski for FREE in Pennsylvania!